Rev. Marvin O’Connell, professor emeritus of history at the University of Notre Dame, will deliver the commencement address and receive an honorary degree May 22 (Saturday) at the University of St. Thomas in St. Paul, Minn.
Father O’Connell, a member of the Notre Dame faculty since 1972, is a Minneapolis native who studied at the St. Paul Seminary and was ordained a priest for the archdiocese of St. Paul and Minneapolis before receiving a doctoral degree in history from Notre Dame in 1959. 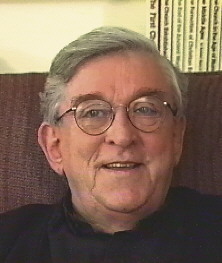 He taught history at St. Thomas from 1958 until he came to Notre Dame, where he chaired the history department from 1974 to 1980. He also directed Notre Dame’s undergraduate program in London from 1993 to 1995. Originally published by Michael O. Garvey at newsinfo.nd.edu on May 18, 2010.